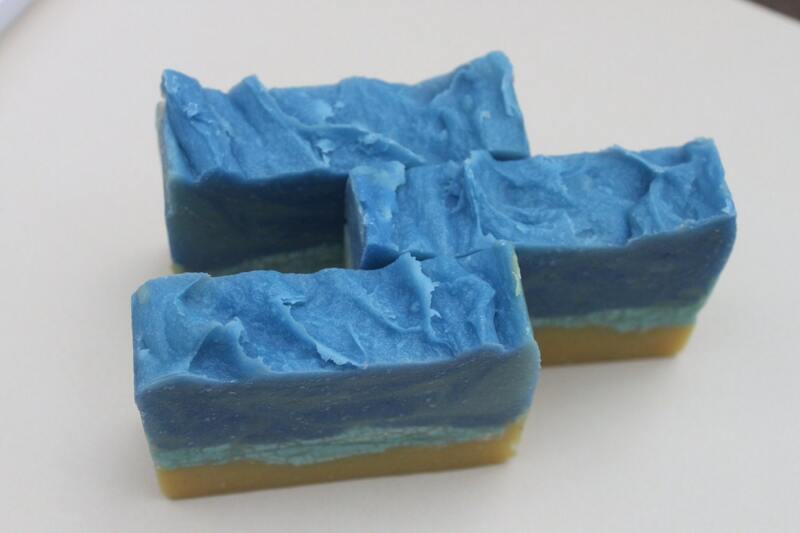 Take a bath at the beach and wash in the waves with this little slice of the seashore! The light fresh scent of sea air in this bar will appeal to men and women. Featuring aloe, olive oil, cocoa butter and sunflower oil all known to have skin loving qualities. 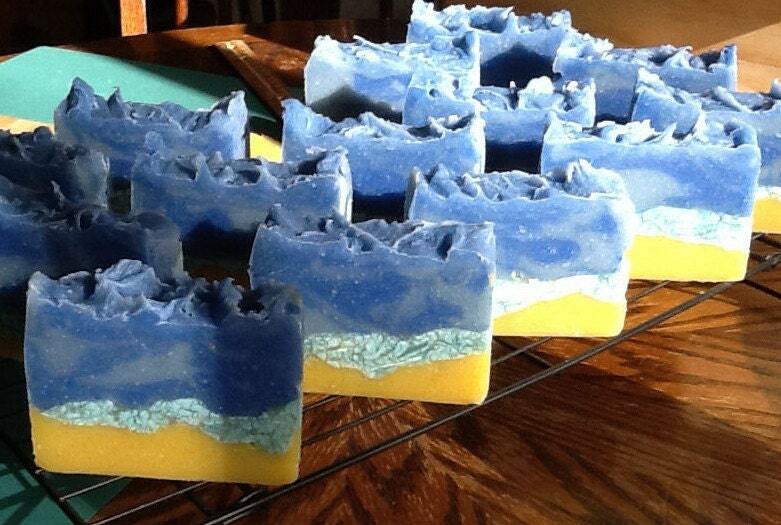 Lots of lather will remind you of sea foam as you relax with this fun summer bar. These are generous size at 2.5" x 3.5" and weigh approx. 4.5 oz great for large hands or cut them and use half at a time to keep the other half tidy. 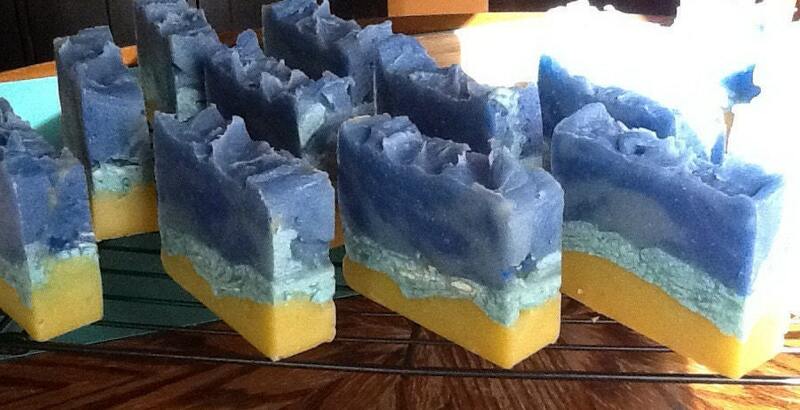 Handmade soaps are special and to get the most from them they should be treated specially. Never leave your soap in standing water, when in the bath always put it on a ledge out of the water. 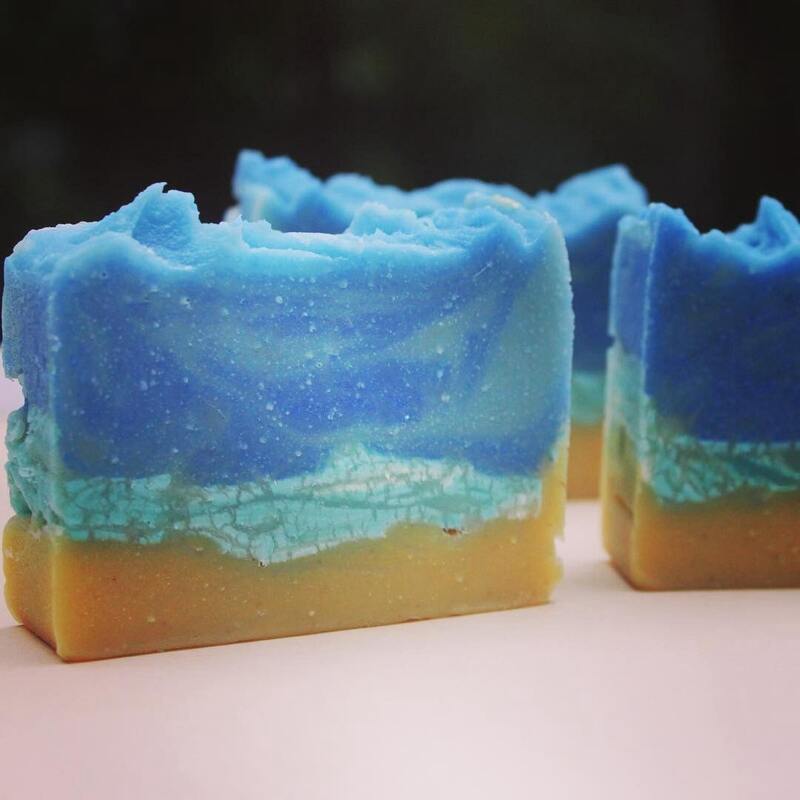 When finished with your soap keep it on a draining soap dish or stand the soap on its end, this will increase the life of your soap so you an enjoy them longer.